This applet allows you to explore a function f(x) of your choice along with its derivative and integral. Click on the SKETCH check box. 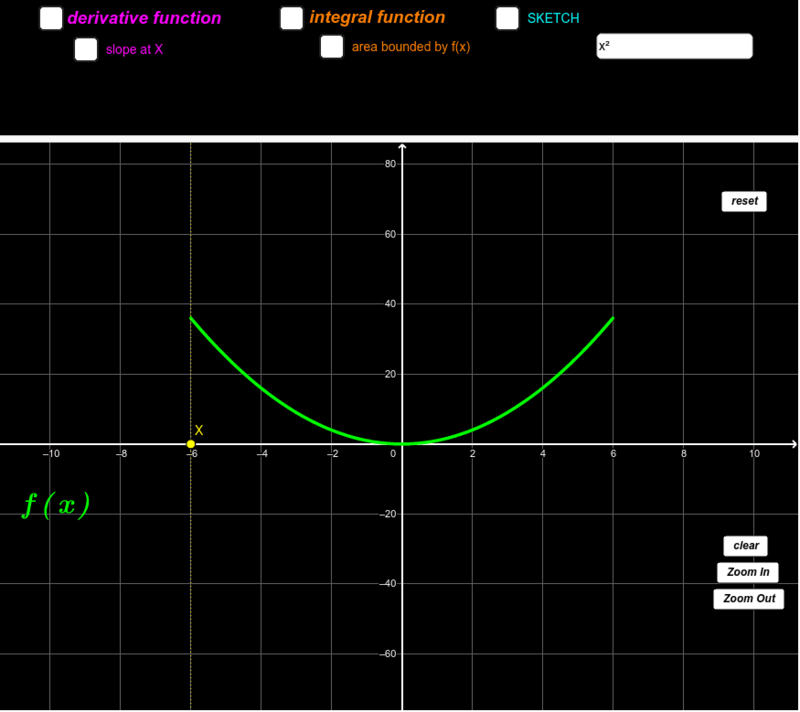 You can drag the BLUE dots vertically to sketch the derivative function. When the derivative function box is checked you can see the slope at any point by dragging the YELLOW dot on x axis. - check your sketch by checking the derivative function check box. If you want to explore the integral of f(x) you can drag the BLUE dots vertically to sketch the integral function. You can see the area under the curve from Xmin to any value of by dragging the YELLOW dot on the x axis. When you check the integral function box, the integral function from Xmin to Xmax is generated.